It's October and virtual worlds everywhere are getting ready to make sure players are getting their costumes donned, sweet treats finding their ways into bags, and spooky monsters to fight. Not all games have announced their annual events (lookin' at you, World of Warcraft), but we know they're coming. Getting this article out so early when not every game out there has either announced what they're doing, or announced that they're doing something, might seem like I'm just pushing out content for the sake of content. However, the truth here is, plenty of games have announced what they're doing and some of these events even start today! DCUO gets first mention here, since their event is already underway. I recently wrote about the Witching Hour, DCUO's annual Halloween event, being added into the game with Update 41. Each day a daily mission will appear in your mission journal that will let you earn Spooky Bites. The Midnight Masquerade is a mission that you can queue for, available for all players level 10 or higher. There is even a limited time vendor, Skeets' Boo-tique, where you can grab some in-game goods such as costume wear and decorations. While Mad King's Day is still a couple of weeks off, it's one of my favorite MMORPG Halloween events. When I saw that Lee had put a write-up for the event on Guild Wars 2 Hub, I got a little giddy remembering how much fun I had in the event. I look forward to running around in GW2 again. Maybe one day I'll be able to complete the The Mad King's Tower, instead of falling off at the same spot every time. Someone obviously didn't play enough Mario as a kid, and that someone is me, because my platforming skills are terrible. I did manage to grab every Datacron in SWTOR, though, somehow. Another game I'll be logging into to take full advantage of the events for the second best holiday in existence (sorry, Halloween, but Thanksgiving is all about food, and until you have rivers of gravy I can canoe down, it will always win) is EverQuest II. While I feel the fun factor in Guild Wars 2 trumps anything else out there, EverQuest II has a pretty great event, and it's not to be missed. Plus, with the game being free-to-play these days, it's pretty easy to get in, get to level 10, and get to enjoying it. My Troubadour is still rocking costume gear from several years ago, and she still looks fantastic in it. Since I love alts in EQ2, I'll be getting a fancy-pants Station Pass just to do Nights of the Dead events. This year, there's even a new Candy Crusher Achievement to work on. 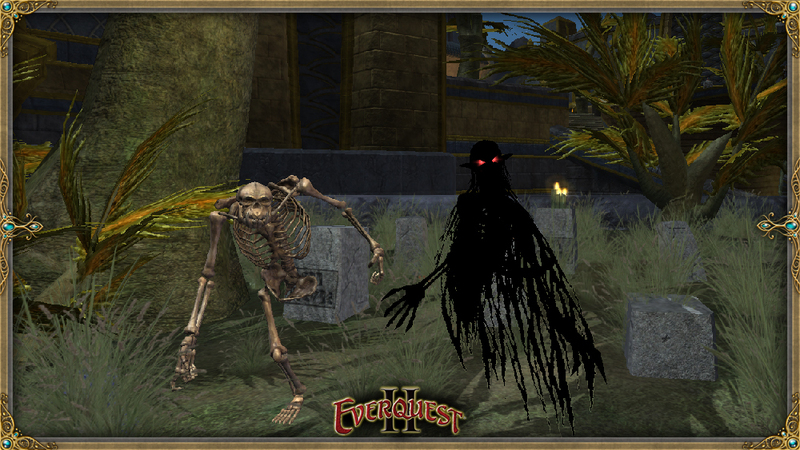 Nights of the Dead, Norrath style, begins today and lasts through Monday, November 3. I've already thoroughly covered the events happening this year in Planetside 2, which started on October 2. Nanite of the Living Dead will be coating Planetside 2 with pumpkins all month! To read more, head on over here. The Secret World happens to change the name of their annual event yearly, which means that you won't log in year after year to the same thing you've experienced over the past few years. This year, the event is called The Broadcast, which starts on October 20. Funcom hopes everyone will join in on the event for a “unique blend of conspiracy, horror and atmosphere” as stated in September's Director's Letter. 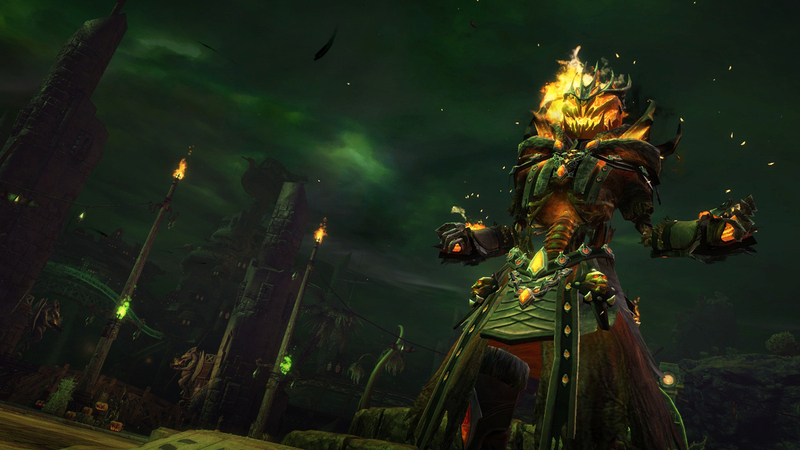 We know that MMORPGs like EverQuest and World of Warcraft (Hallow's End, full of candy, illusion wands, and fun masks...oh and that Headless Horseman guy) have annual events, but they haven't announced them yet. ArcheAge, at the end of their Update 3 notes states, “Expect new fun for Halloween, a fall harvest festival, and beyond.” STAR WARS: The Old Republic will likely see the return of its Rakghoul event again this year. Lord of the Rings Online has an annual Harvest Festival, but no word on it this year so far. Neverwinter's Masquerade of Liars happens later in the month, which should be something to look out for. 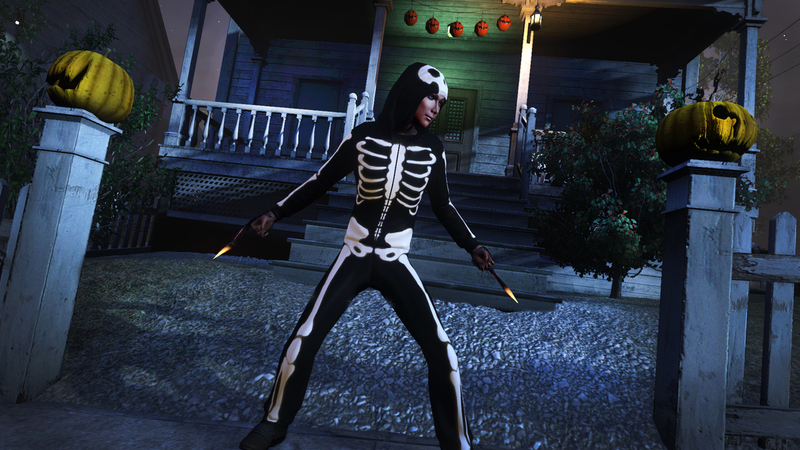 I couldn't find any information for Halloween events in Marvel Heroes, past or present. WildStar has canceled all holiday events, which include Halloween, so their QA team can focus on content updates instead of annual events. The Elder Scrolls Online will likely not have any Halloween events, as they feel that real-world holidays do not fit into Tamriel's lore. If you want Halloween in Destiny, cursory Google searches make it look like your costumes are a DIY affair. Some guy did start a “petition” on the forums for actual costumes for all classes...but c'mon, let's have some real talk here. Adding petition to your thread won't make anyone of importance pay more attention to your opinion. In fact, it's likely that developers will just eyeroll and skip your topic all together, because you're using obvious tactics to be seen instead of actual constructive criticism. Did I miss something? Be sure to say so in the comments below and I'll be sure to add those in! What are your favorite Halloween events to participate in? I look forward to talking more about these events as they become announced. This means I'll also likely be adding World of Warcraft to my personal events calendar, so I can have some fun in Azeroth, in addition to Tyria and Norrath 2.0.